You are developing your baby’s one and only body, so feed your body Vitamin Code RAW Prenatal™ Formula, specifically designed to meet the unique needs of women during pre-conception, pregnancy and lactation. Vitamin Code RAW Prenatal™ Formula contains RAW Food-Created Nutrients, providing targeted delivery of essential vitamins and minerals to support your baby’s healthy development and your extraordinary health, plus clinically studied probiotics that provide a “head-start” for your unborn child’s immune system and overall health. **"
Directions: Adults take 1 capsule 3 capsules daily. May be taken with or without food. Capsules may be opened and contents be added to water or raw juice. Not intended for children. Other Ingredients: Vegetable Cellulose (capsule), Organic Rice (hull). Contains NO filler ingredients, artificial colors or preservatives. Warning: As with any dietary supplement, consult your healthcare practitioner before using this product, especially if you are pregnant, nursing, anticipate surgery, take medication on a regular basis or are otherwise under medical supervision. Keep out of reach of children. Accidental overdose of iron-containing products is a leading cause of fatal poisoning in children under 6. In case of accidental overdose, call a physician or poison control center immediately. 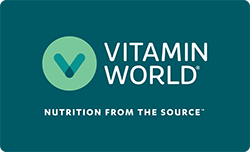 Vitamin Code® Raw Prenatal™ Vitamins is rated 4.7 out of 5 by 3. Rated 5 out of 5 by Anonymous from Quality Vitamins! I have been taking these vitamins for the last two years. Throughout my pregnancy and now through nursing my son. The quality of these vitamins are excellent, I love that they are raw and provides all the needed vitamins and minerals! I definitely recommend these vitamins for pre conception through postnatal! Rated 5 out of 5 by Anonymous from Perfect vitamins for mom and baby We've been ttc for 3 months now, and I have been taking these vitamins to assure healthy baby development and to support my body to be able to carry the baby. These vitamins definitely have enough folic acid and important minerals and dietary supplements for a healthy pregnancy. I also prefer these vitamins to other because they are raw/organic. I want what's the best for the baby. Hoping to be able to concieve very soon.